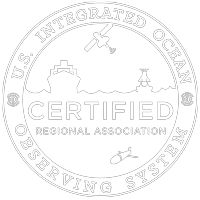 In remembrance of Vembu Subramanian – our friend and colleague – the Southeast Coastal Ocean Observing Regional Association (SECOORA) raised over $25,000 from the community to establish an award for the next generation of ocean experts. Vembu had a deep passion to help others and loved working with students, acting as their mentors. SECOORA is proud to announce the first winner of the Vembu Subramanian Ocean Scholar Award, Laura McGee from North Carolina State University. Laura McGee is a PhD student in Dr. Ruoying He’s Ocean Observing and Modeling Group. Her background is in physics and biology. McGee’s research focuses on marine physical-biogeochemical interactions during tropical cyclone conditions. Using satellite-derived oceanic pCO2 data, she is researching the impact of cyclones on air-sea CO2 flux. The result will be an improved understanding of marine physical-biogeochemical interactions and carbon cycling during storm conditions. This research is vital to the development of better models predicting the impacts of tropical cyclones. The award is allowing her to present her research, Determining Hurricane-Induced CO2 Flux in the South Atlantic Bight, at two conferences. McGee attended the Middle Atlantic Bight Physical Oceanography and Meteorology (MABPOM) Meeting in October 2018 and gave an oral presentation on her research. In June 2019, McGee will be attending the Coastal Ocean Dynamics Gordon Research Seminar and Gordon Research Conference in Biddeford, ME. Participation in the two conferences provides McGee the opportunity to receive valuable feedback on her research, with the potential of forming new collaborations with members of the community. Vembu’s mentoring legacy is living on through the Vembu Ocean Scholars Award. The next call for applications will be Spring 2019. Keep a look out for the announcement. If you would like to donate to the award, please click here. If we raise enough funds by Spring 2019, SECOORA will give an extra award in Vembu’s honor! Next Next post: Thank you for donating!